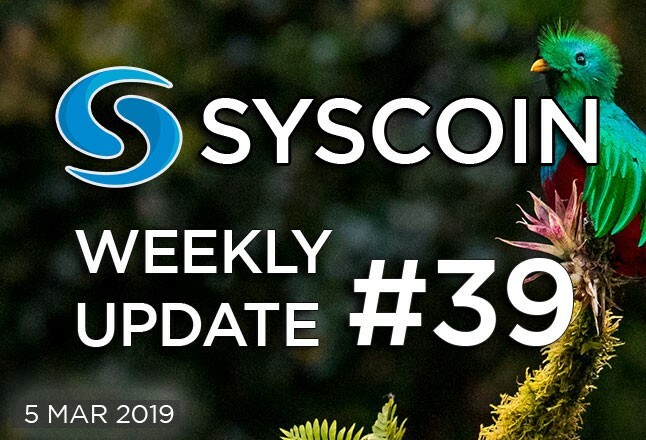 Syscoin 4.0 will bring with it a change of direction for Syscoin, as the devs sharpen their focus on the platform aspects of Syscoin and begin to route services such as the marketplace off-chain through Ethereum. The Foundation has now released a blog post revealing the new masternode reward schedule, governance issuance model and minimum masternode requirements. Read up on all the details below. SCMT has partnered up with XCOMPay, a new payment gateway for cryptocurrencies, and Syscoin is among the first five listed coins. Merchants using the XCOMPay service will be able offer Syscoin as an accepted payment method. After adopting Syscoin in its business e-course platform, Blocknorth has recently launched a new version of their website. Check it out below.